Design, supply, installation and commissioning of a surface and underground skip mineral hoisting plant. Since a skip system already existed a major rehabilitation programme was developed to meet the requirements of the colliery. Uprating the existing 9 tonne capacity system to accept 2 x 27.5 tonne balance skips. The construction of an underground loading station. 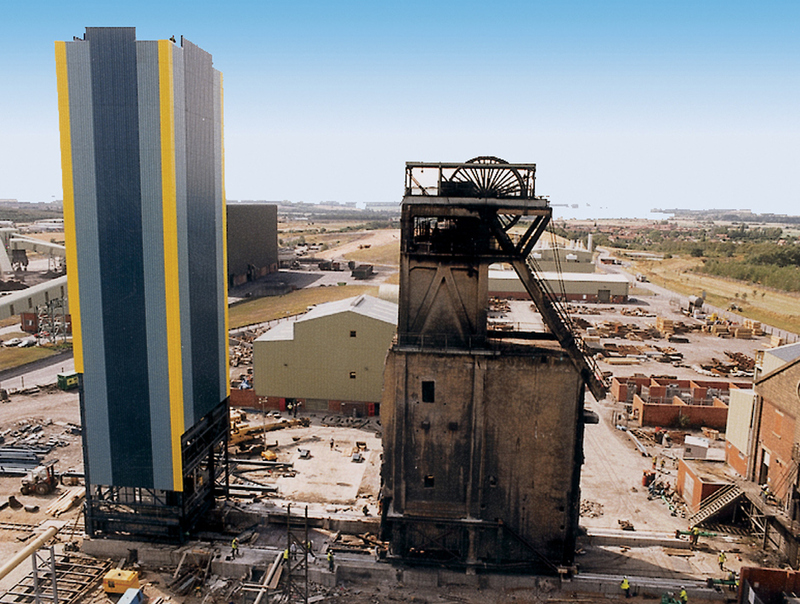 The construction of a 450 tonne surface headgear tower in a structural steel to sit within a concrete outer building. A surface skip discharge station. All surface inner tower equipment. 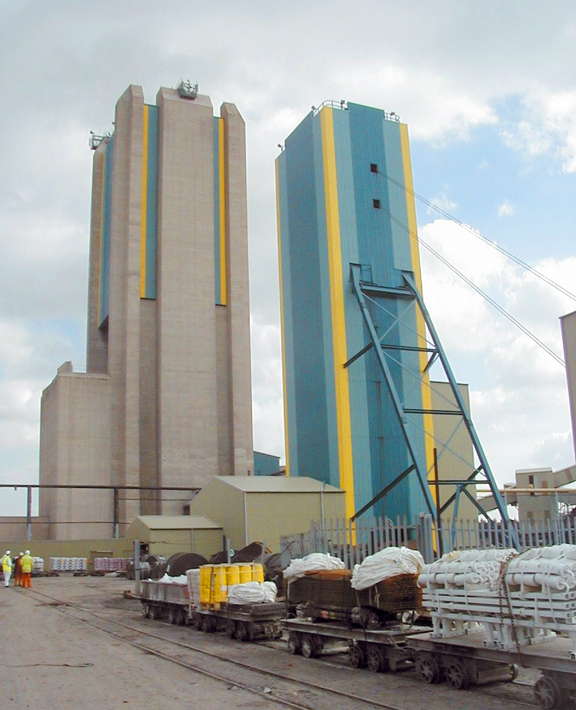 All through shaft systems including rope guides, winch ropes, shaft signals, interlocks, skips and skip plant controls.